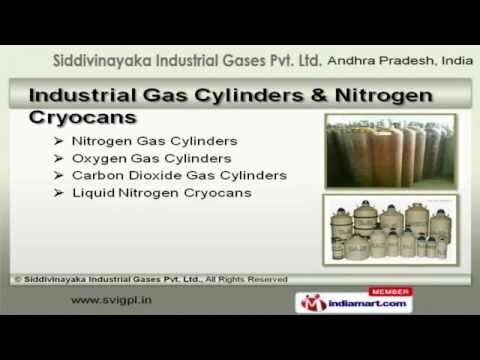 Welcome to Siddi Vinayaka Industrial Gases Private Limited. Manufacturer and Trader of Industrial Gas Cylinders. We are a NSIC and D&B certified company, incepted in 2004, at Hyderabad. Advanced R&D department and stringent quality checks make us different from others. Peerless quality products and Cutting edge technology help us to serve Clientele like Ordinance Factory and B H E L. We offer a vast range of Acetylene, Hospital Oxygen and Ammonia Cylinders. Our Industrial Gas Cylinders and Nitrogen Cryocans are extremely reliable. We offer Hospital Oxygen and Ammonia Cylinders that are available at industry leading prices. Acetylene and HCl Gas Cylinders offered by us are some of our best selling products. Along with that we offer ACM and Zero Air Cylinders that are a class apart. We also provide Helium and Nitrous Oxide Gas Cylinders that are acknowledged for their functionality.